Whether you’re in the early stages of your career or are close to smashing the glass ceiling in your industry, you’ll be sure to gain inspiration and insights from this talk from speaker and Wharton alumna Shaz Kahng. Drawing upon her own CEO and Board Director experiences, Shaz will share practical, specific advice on topics such as: the key characteristics of successful ceiling smashers; if you’re not finding the career opportunities you want how to make them happen; and tips for effective MANagement with the emphasis on “man,” among other topics. 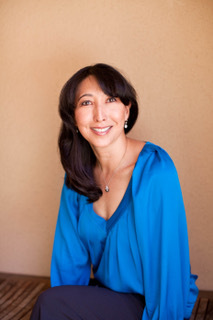 Shaz Kahng is a visionary leader and inventive thinker adept at turning around and scaling businesses in the retail, sports/active apparel, and footwear industries. She was the first female Global Director of Nike Cycling and one of a handful of female senior executives in the company. She was also one of the first women at Nike to hold a global business P&L. Shaz later became the CEO/President of Lucy Activewear and along with her team made the company profitable for the first time in history and in record time. Shaz has a track record of successfully leading teams in male-dominated industries. She previously worked as a research scientist, a global consulting partner, a builder of e-businesses, and a brand strategist. She graduated from Cornell University and has an MBA from the Wharton School. Shaz currently works as a board director for Gymboree, a mentor to startups, and an advisor to PE and VC firms. She lives in San Francisco with her husband and twin daughters. Shaz recently published a novel about women business leaders succeeding with smarts, scruples, and style. 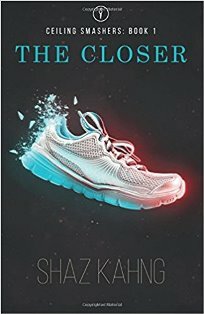 The Closer, the first book in her Ceiling Smasher series, focuses on positive powerful female leaders, fictionalizing her decades of top business experience to create a thrilling story about the first female CEO in the sports industry. Kahng’s vast experience working in male-dominated boardrooms enables her to provide a behind the scenes look at what it’s like to work in the sports sector as a woman and what it takes to shatter the glass ceiling. Registration is subject to availability and will close on Wednesday, April 18th at 11:00am - No Exceptions!